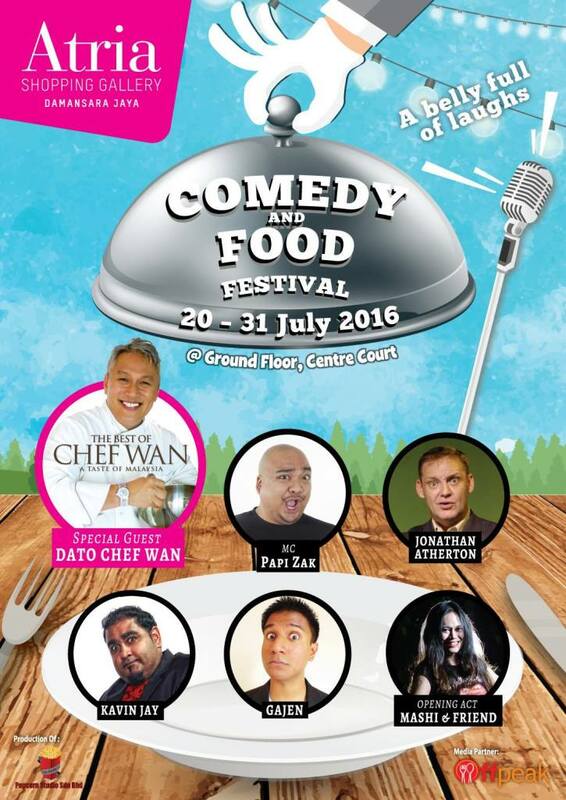 Atria Shopping Gallery is holding it's first ever Comedy And Food Festival, happening from the 20-31 July 2016, the first of it's kind held at Atria since it's reopening mid last year. As part of the festival, there will be culinary experiences by the one and only Datuk Chef Wan, alongside standup comedy shows by Jonathan Atherton, Kavin Jay and Gajen, as well as opening acts by Mashi & Friends. All happening on Thursday, Friday and Saturday, at Atria Ground Floor. Scroll to the bottom of this writeup for showtimes and performances. 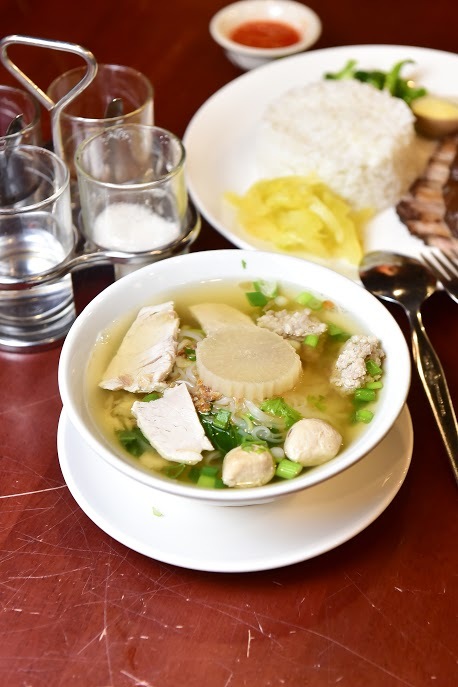 By way of food tasting, I visited five of participating outlets that morning - I Love Yoo, Hometown, Pho Vietz (the most popular restaurant in Atria! ), Go Thai and Eggu. Individual stalls will be setup at the Concourse Level throughout the festival. 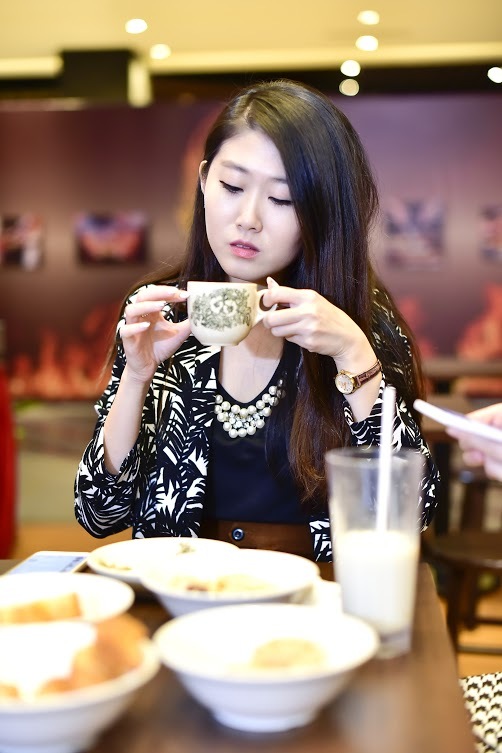 While having a hefty breakfast may be good for health but having five meals at a go? I should've worn a loose t-shirt and sweatpants instead. Nevertheless, I had loads of fun and it was great catching up with the rest also. 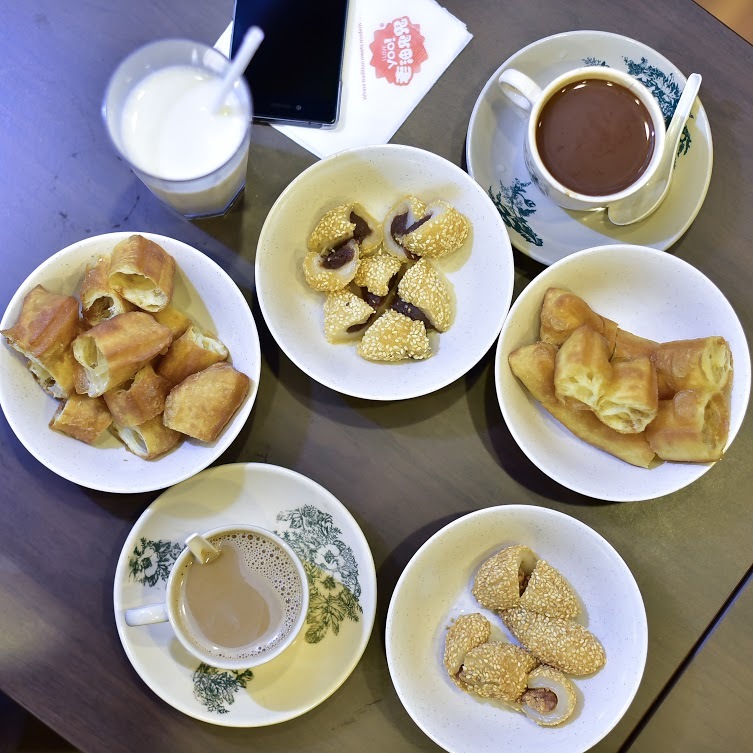 Our first meal came in the form traditional Chinese delicacies, red bean and peanut sesame balls, as well as their ever popular 'you tiao', at I Love Yoo. I Love Yoo! 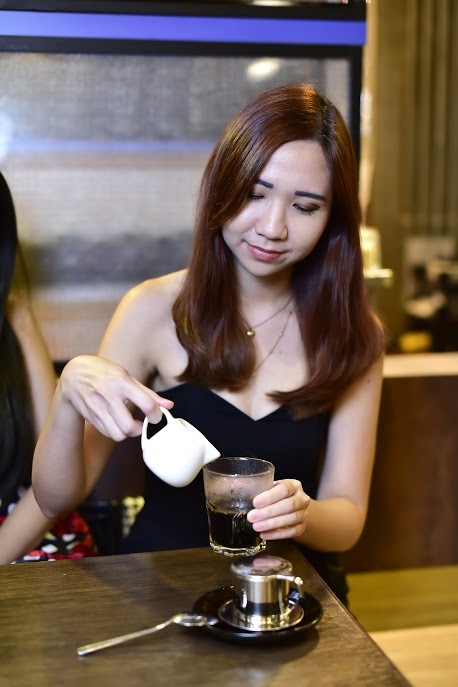 is known for their traditional Chinese favorites including ‘You Tiao’ and ‘Tau Foo Fah’ and they only use 100% fresh and new palm oil for frying, non-genetically modified soy bean and high quality ingredients. 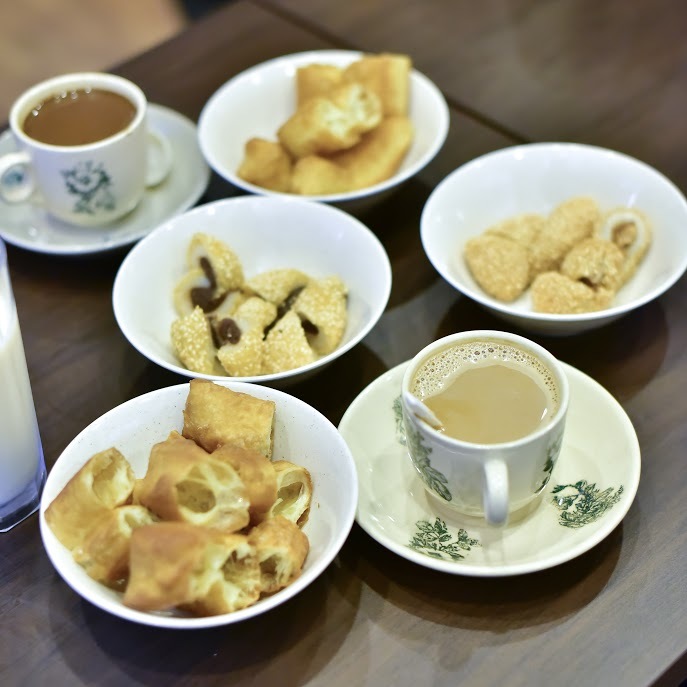 We had our breakfast there which consisted of red bean and peanut sesame balls, soya bean, you tiao and Hainanese coffee. 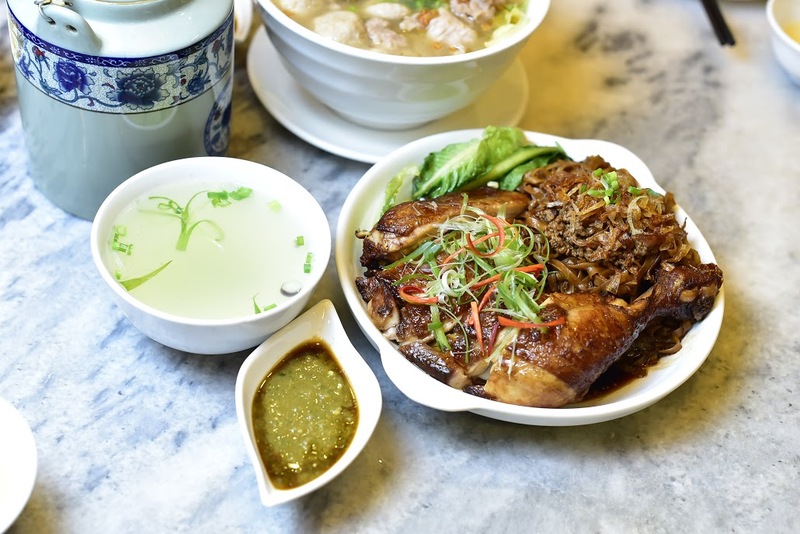 Next, we head over to Hometown Chinese Restaurant and had a go at their Traditional Pork Noodle Soup (RM15.90++) and Mince Pork Noodles with Chicken Drumstick (RM15.00++). 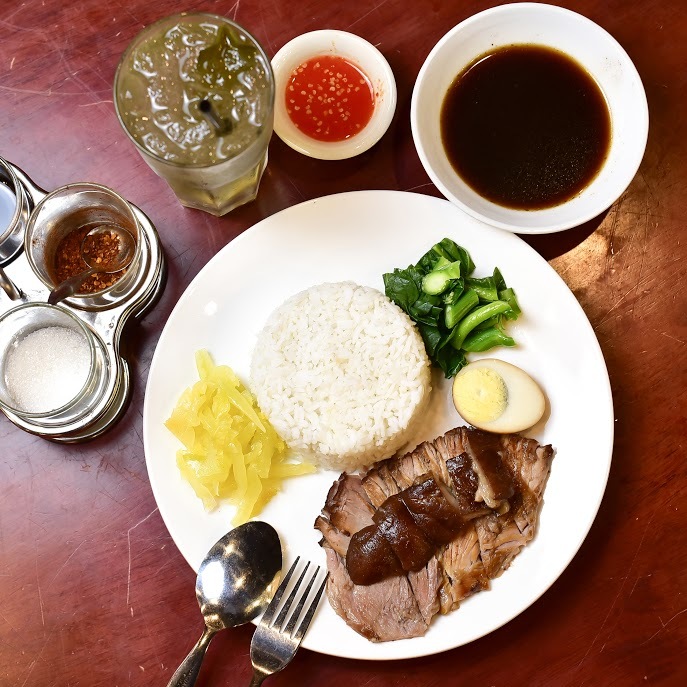 Both the dishes were the bestsellers at the restaurant and a favourite among patrons especially during lunchtime. The portions were pretty big and the pricing quite reasonable for a restaurant in a shopping mall. 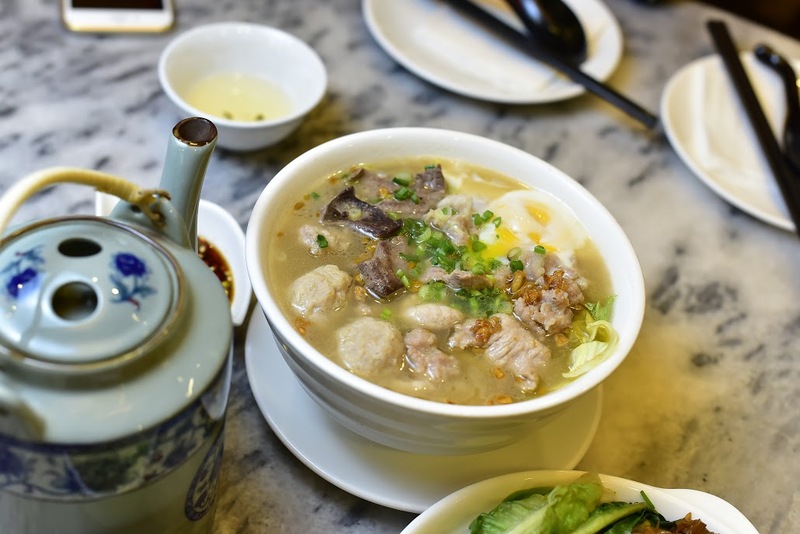 We washed down the noodles with a pot of hot Jasmine tea in a restaurant setting reminiscent of the olden days Chinese restaurants with marble tables and rose wood furniture. Next up, one of my favorite restaurants in Atria, Pho Vietz. 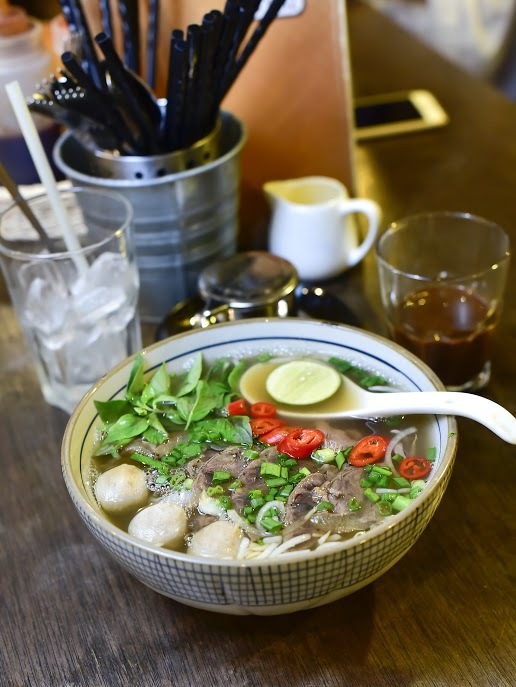 Pho Vietz is famous for its Pho aka beef noodle soup (RM17.90++) which consisted of vermicelli soaked in a really flavourful broth made from beef bones, oxtails, flank steak, charred onions, ginger, and spices. 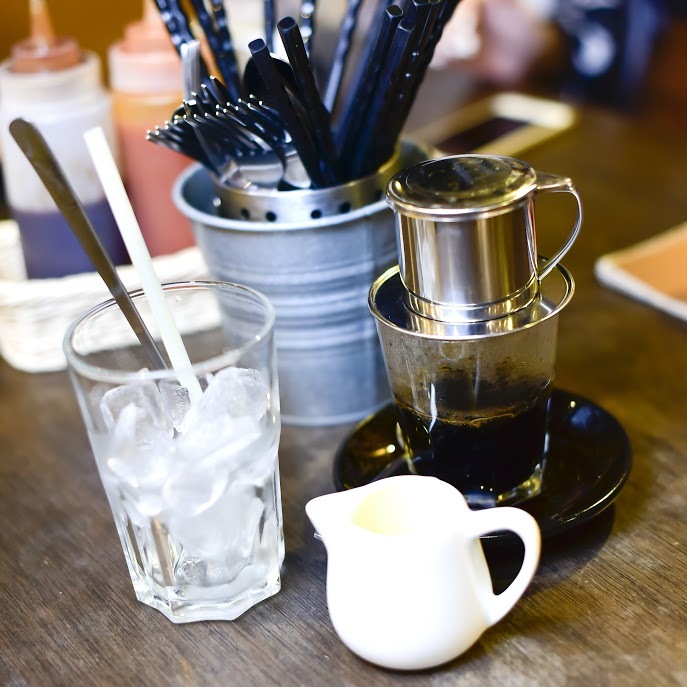 We also had a go at their famous Vietnamese coffee with milk which imparted a really fragrant aroma and a rich taste, Vietnamese Baguette, as well as the Vietnamese Beef Stew. 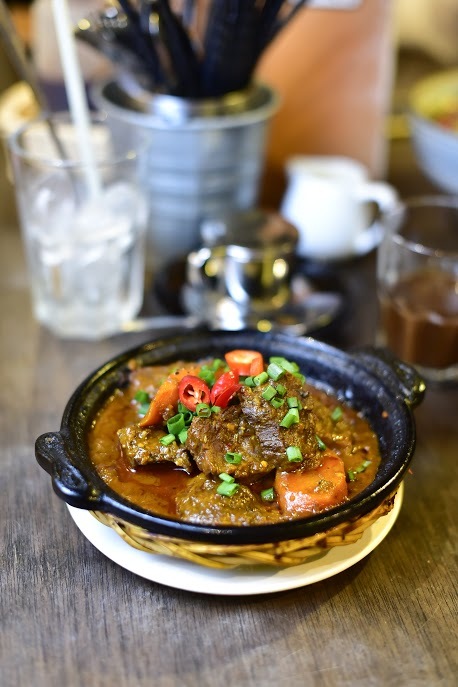 This restaurant gets quite busy during lunch and dinner so make sure you go early if you intend to dine there. From Vietnam to Thailand. Next up, Go Thai. 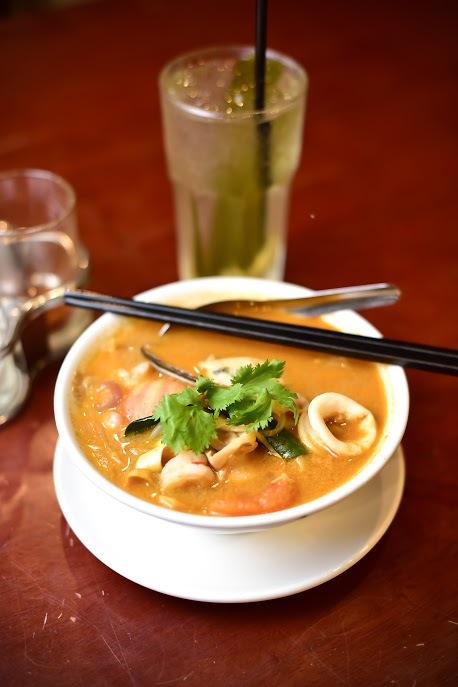 Go Thai is a Malaysian-owned restaurant with an all-Thai kitchen team that specialises in Thai street fare. 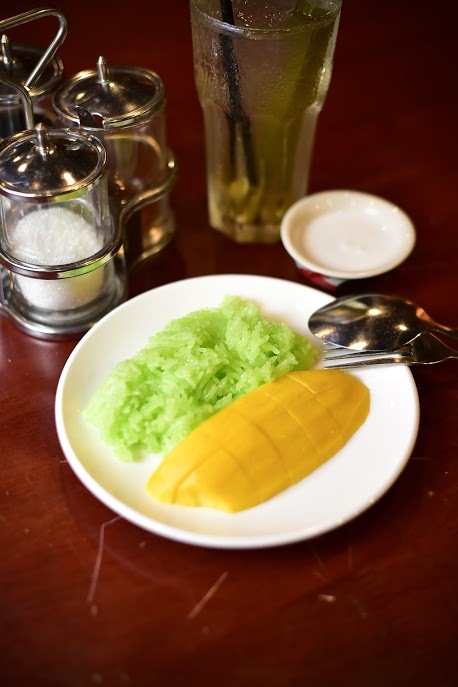 The restaurant is set-up with colourful street food scenes on the walls, intended to give you the feeling of being on a Thai street but in the air con comfort of a mall. 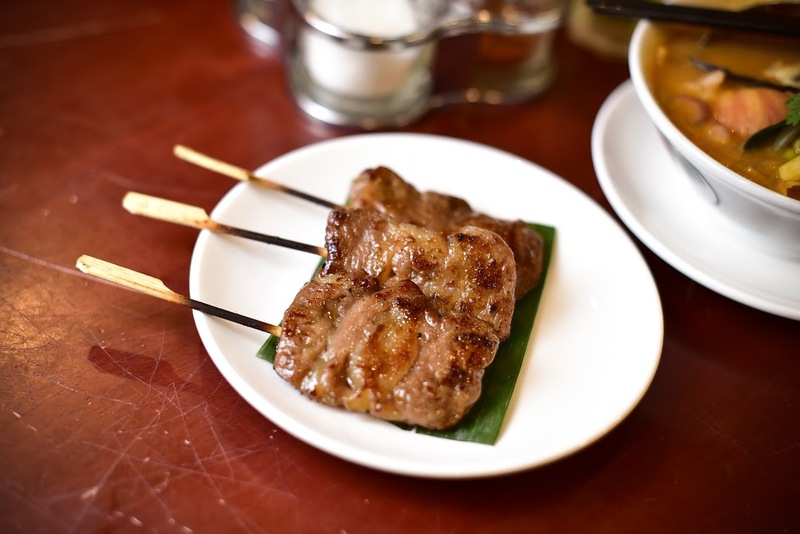 BBQ skewers are a highlight, showcasing a strong inspiration from the northeastern Isan region. 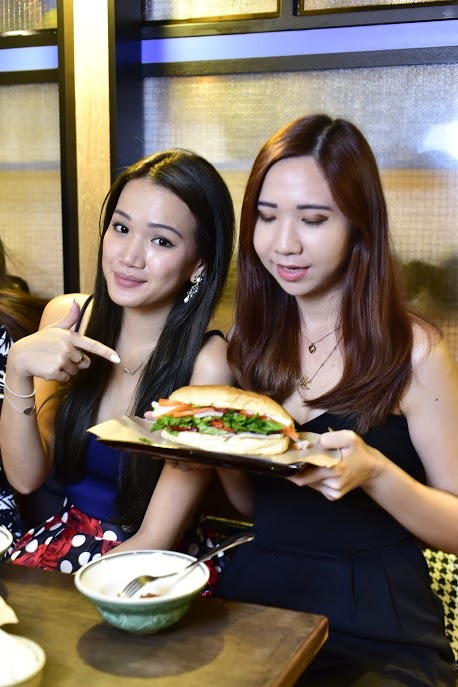 This outlet is the second after the first one in SS2, Petaling Jaya and has a menu that doesn’t boast many items of food. 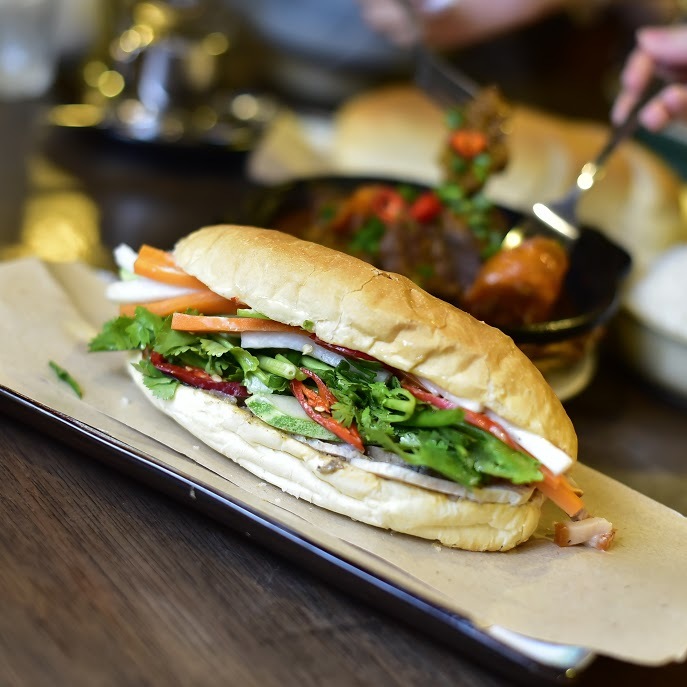 This is intentionally done so that the quality of the food is emphasized instead of an outlet which features a huge variety of items but doesn’t specialise in any. 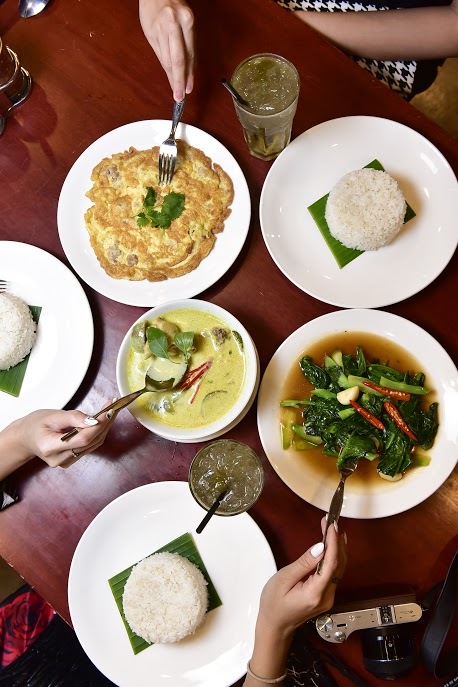 We had a go at the Seafood Tom Yum, Thai Green Curry, Moo Ping (charcoal grilled pork fillet), Khao Ka Moo (stewed pork leg with rice) and Mango Sticky Rice. 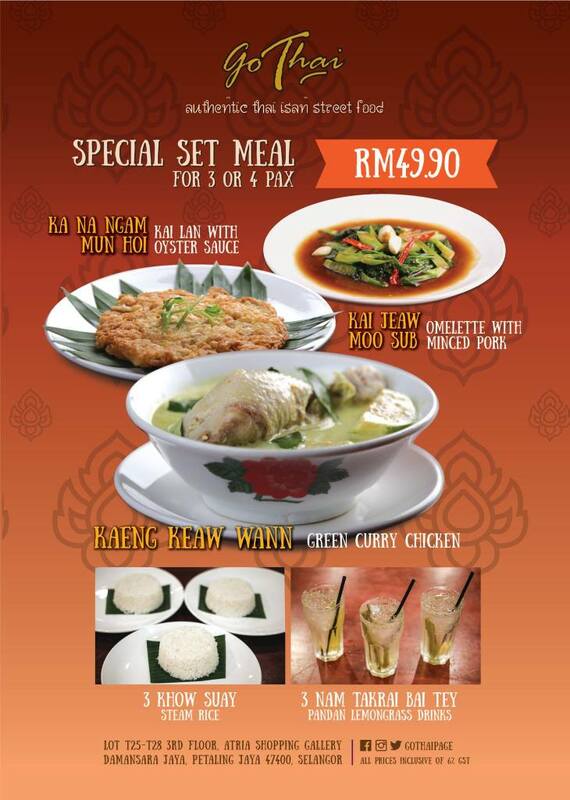 The restaurant also has a value set for three (3) pax for just RM49.90. Wait. Wait. We are not done yet. There's always room for desserts right? Eggu serves soft serve ice cream, and crispy eggettes come in flavours such as original, choco chips, butterscotch, green tea, charcoal and banana. 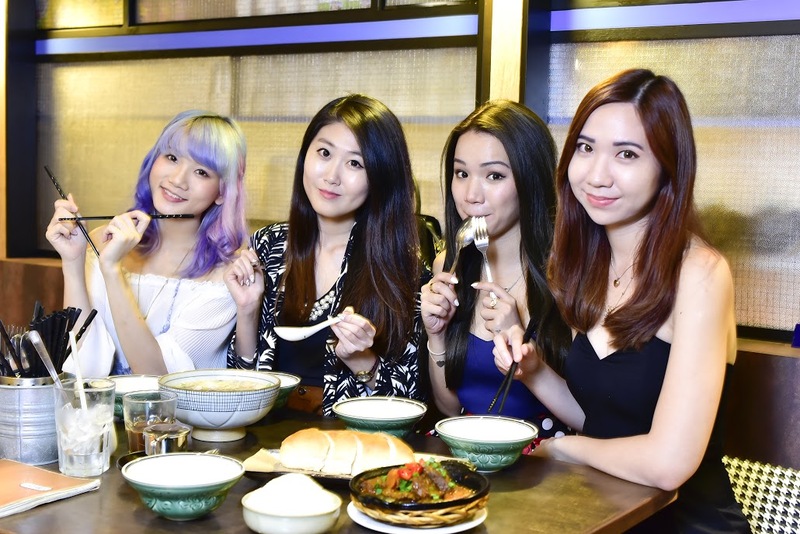 The signature creation is the “Eclipse” (RM15.90), a combo eggettes and premium soft serve ice-cream. The soft serve ice cream is creamy and not too sweet, while the eggettes add a nice variance in texture when eaten together with the ice cream. We also had a go at "Twist" (RM8.50), a combination of premium dark chocolate and milk chocolate soft serve. 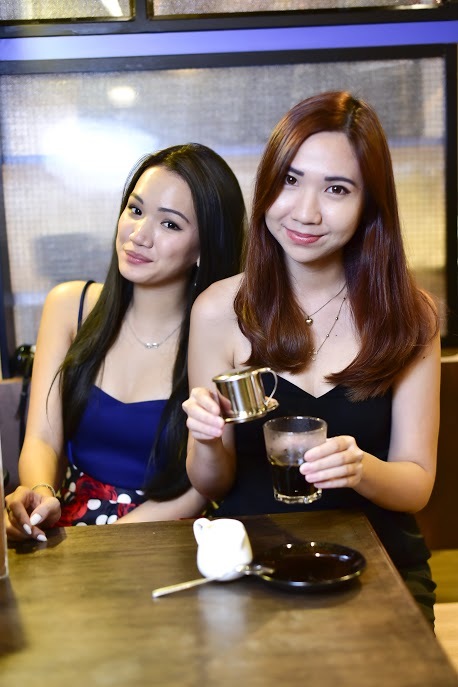 Apart from the outlets stated above, there will also be Yummy Asia, Mad Hatter Desserts, and Stick Arts – Italian Artisan Gelato. 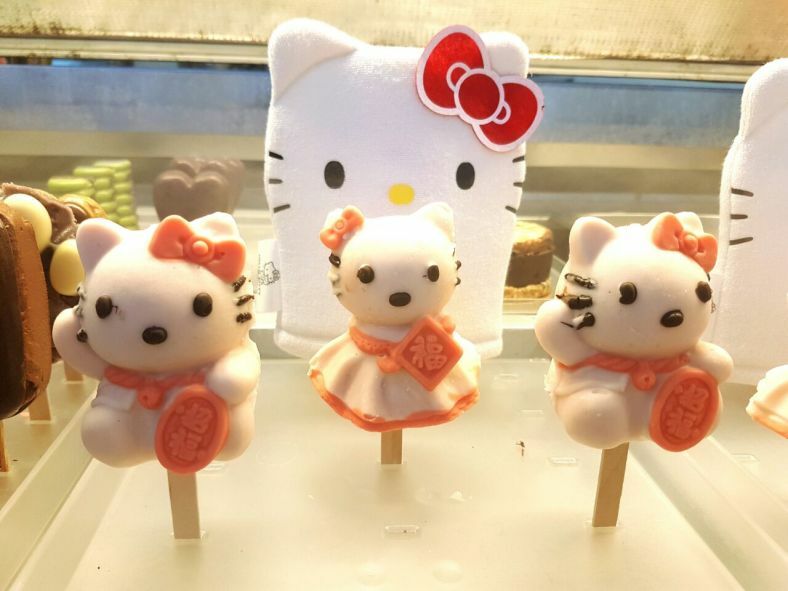 3D Hello Kitty ice cream guys! More information on the Comedy And Food Festival below. The stand up comedians are known in the local comedy scene and will have their first ever show at Atria. Papi Zak is definitely the “biggest” stand up comedian in Malaysia. Born in Egypt and raised in other different countries, he is the true definition of a third culture child. He is a gut-grabbing performer who has no qualms about opening his mouth and letting all manner of things fly out. It’s all these things that make Papi Zak one of the hottest comedians around. Kavin, one of Malaysia’s most underrated comics, is a rapid-fire grumpy joke telling machine. He may be grouchy but does it with such panache, you can’t help but laugh. He is an integral part of the comedy revolution in Malaysia and a regular host and performer for TimeOut KL Comedy Thursday. Jonathan, an actor, comedian, traveller and raconteur, is no newcomer to the entertainment industry. As a teenager he pursued an acting carer. He made his debut in The Mango Tree, then went on to play television and theatre roles. Gajen, also known as “Malaysia’s First Chindian Comedian” is no stranger to the limelight, appearing in Monash University student magazine Monga, getting interviewed by Capital FM, and even having NTV 7 film a documentary about his career as a stand-up comedian. So I bet that now you’re asking how you can get tickets to the show? Shoppers who spend RM100 and above in not more than two (2) accumulated receipts are entitled to redeem two (2) free tickets to the comedy show. Redemptions can be made at the Concierge Counter located at the Concourse Floor, while tickets last. 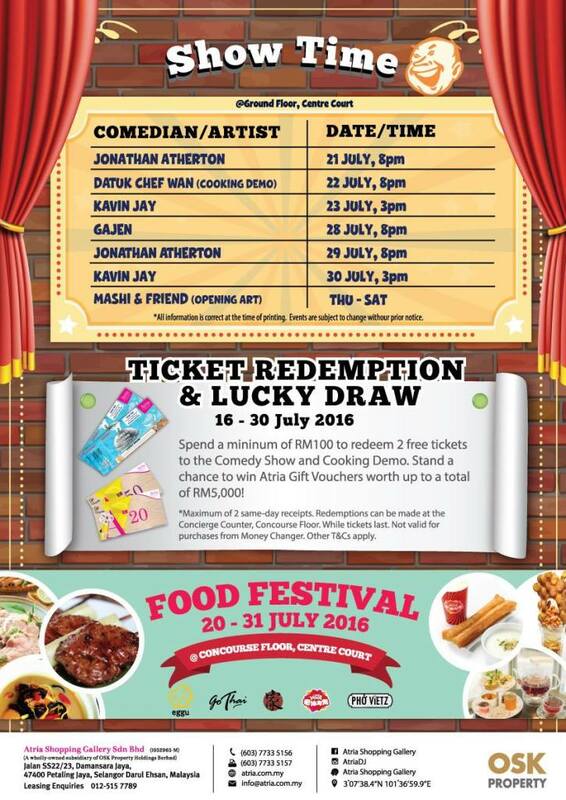 Comedy ticket holders will also stand a chance to win Atria Gift Vouchers worth up to RM5,000. 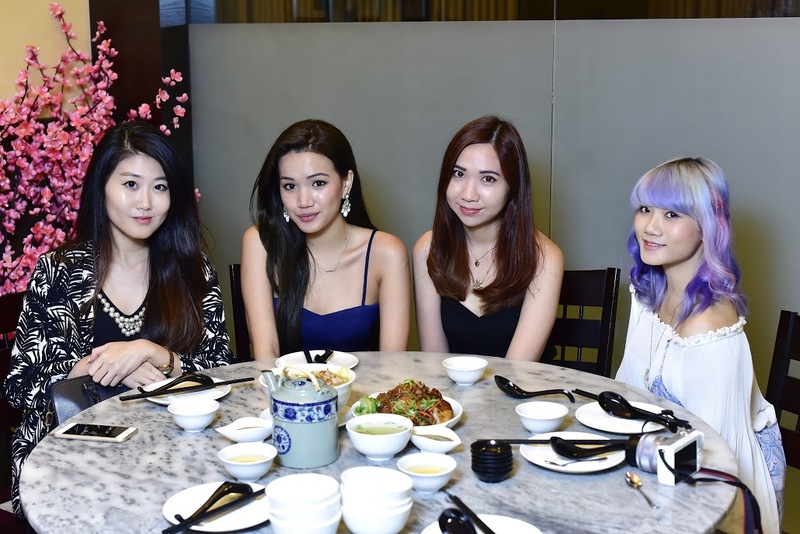 On a side note, special thanks to Andy Kho for the photographs.